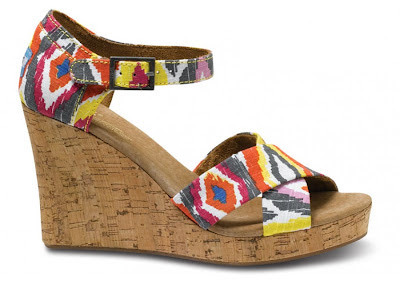 I am pretty much loving everything Ikat right now, especially these Tom's Wedges, and there is a plethora of the print to choose from...from Gap to Anthropologie. I love the way the Ikat skirt below is styled with a chambray top and leopard belt-although it isn't very practical for my life (we can't layer in Texas in the summer). 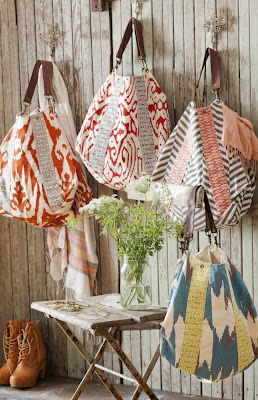 A simpler approach for me would be to add one of the Ikat bags with a cotton summer dress (plus they are really affordable! ).